Yes, yes, I know it’s been a while since I posted something. Work has been really busy lately as I was recently promoted (small smattering of applause can be heard somewhere at the back, followed by a hacking dry cough and a murmuring to just ‘get on with it’), so I haven’t had a lot of time to put fingers on keyboard. However, I can find 5 minutes to share this little moment of sheer joy. 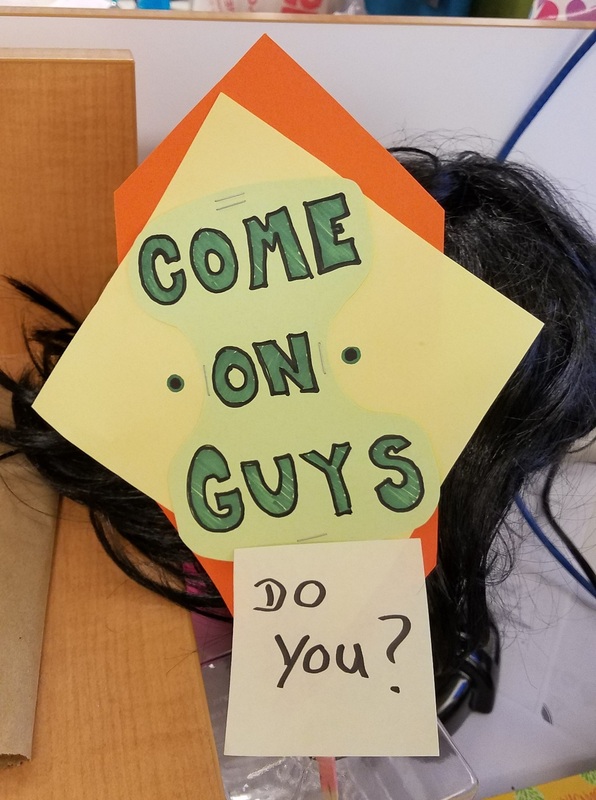 So I arrived at the office this morning and noticed this small sign on someone’s desk. Now, for clarity, this ‘someone’ is the head of a department. 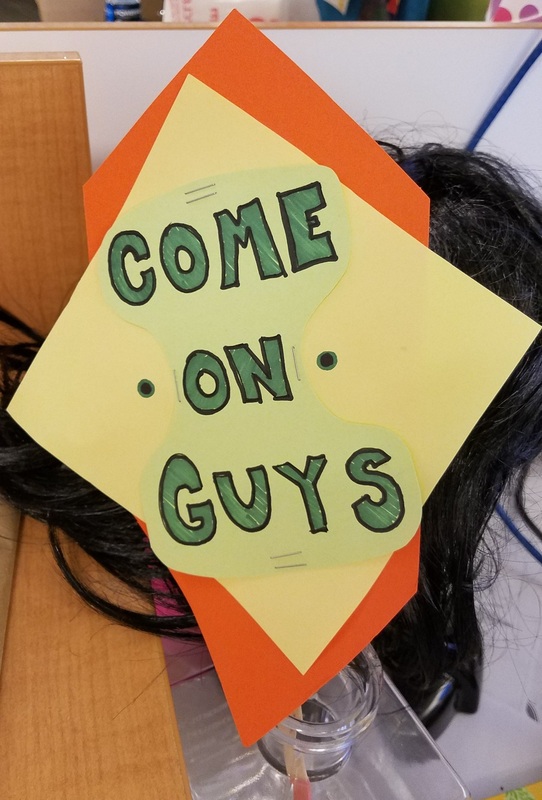 Like, he’s WAY up there in the echelons of senior management, and this sign is clearly a visual aid to encourage energy, teamwork and whatever he feels necessitates this sign. Being the Grammar-Nazi I am, couldn’t help myself! Ah, the humble comma; how we miss you. In this context, it’s not so much a visual aid than a visual impairment, depending on your aim. But I’m sure he’ll see the funny side of this and will be fine with me mocking his grammatical oversight, plus…. …I don’t want to rub it in.